These began in London in 1964 a few weeks before travelling out to begin teaching in Kampala, Uganda. On the stage of the Prince’s Theatre, London, I received my first lesson in playing the Kiganda amadinda xylophone from the South African musicians Andrew and Paul Tracey before their evening show Wait a Minim. 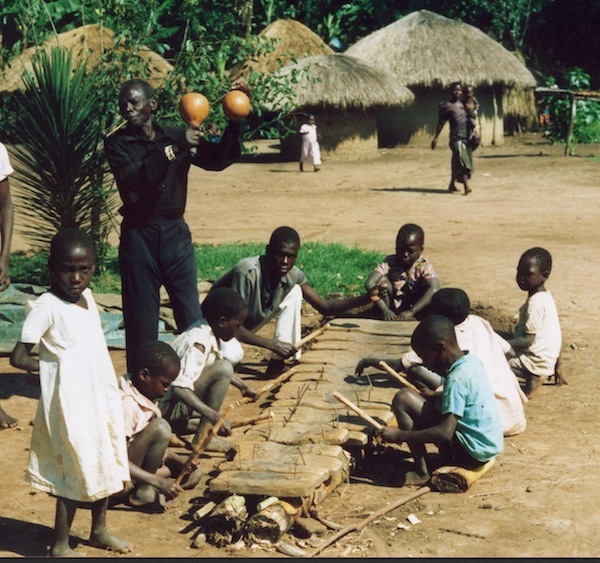 My work in Uganda led me to begin exploring that country’s traditional music initially with the aim of collecting useful materials for my teaching there. That exploration has continued – apart from during the chaos of the periods of the rule of Amin and the Second Obote regime (1969-87). Early retirement in 1989 allowed me more time to continue this research. 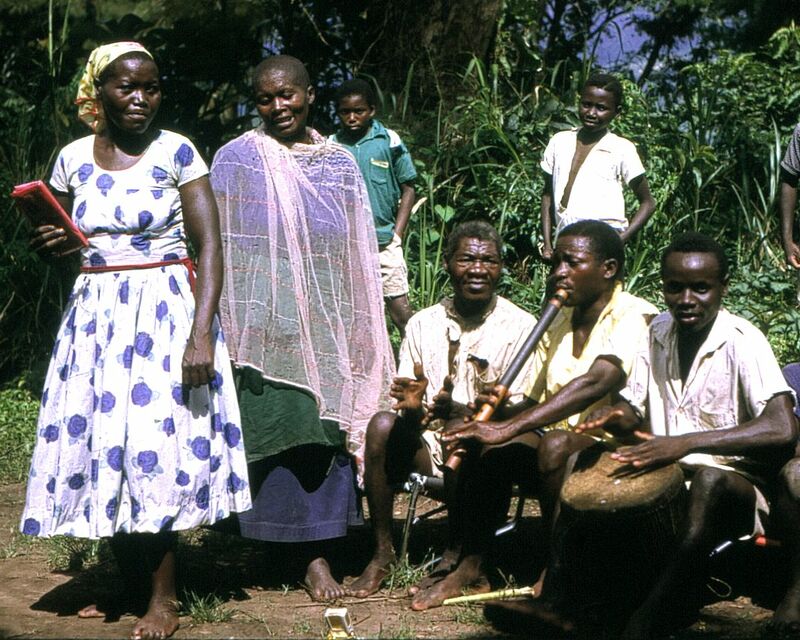 Virtually all of my audio field recordings of Ugandan music (except for the most recent) are available for listening and research on-line at the British Library’s site BL Sounds. Go to http://sounds.bl.uk/World-and-traditional-music . 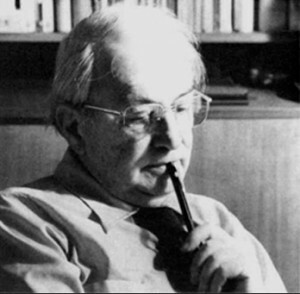 There you can also find the earlier important set of recordings made by Klaus Wachsmann. Twenty four Songs of Uganda, Kampala, 1966 (anthology of traditional songs), 52pp (with tape recordings of performances by the choir of Nabisunsa Girl’s School). 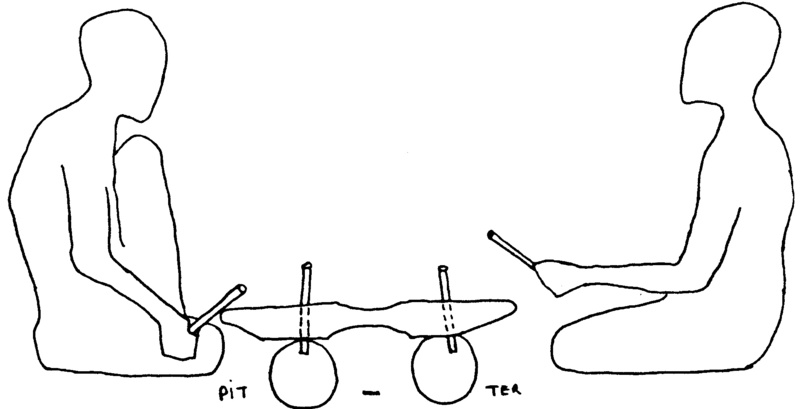 “Ganda xylophone music – another approach”, African Music, iv/4, 1970, p. 62-75 (click here to view and download the full text of this article courtesy of Rhodes University). 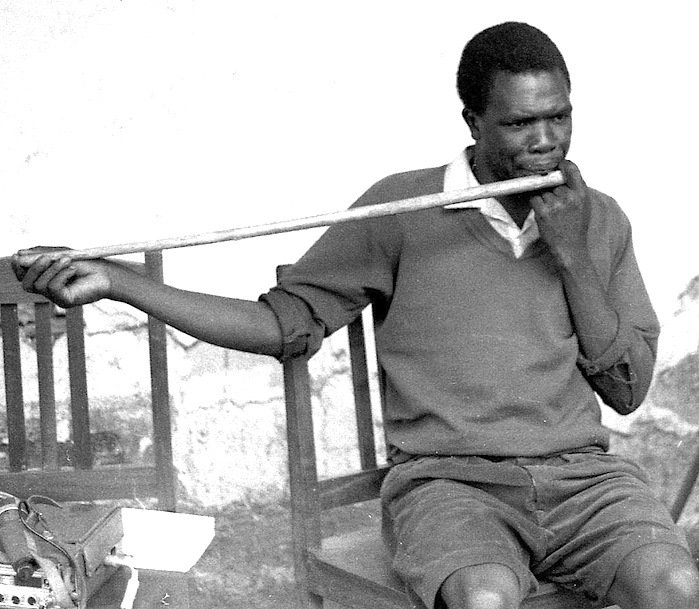 Kibulo playing his Ludaya at Bumasifwa, Bugisu. “`Ludaya’, A Transverse Flute from Eastern Uganda”, Yearbook of the International Folk Music Council, 3, 1971, p 79–90. “Ssematimba ne Kikwabanga : The music and poetry of a Ganda historical song”, World of Music, xxix/2, 1987, p 49-68 (with F. Katamba). For the pdf click KatambaCooke. Listen to the performance below. (12-page booklet and cassette), with Christopher Kizza, (produced for use both in Uganda and in multi-cultural education in UK, USA etc. ), 1988, Edinburgh, 12pp. (now available on CD). This package and the two following are for sale: the proceeds are for the families of the musicians. Apply to me. “On the trail of the Music Hunter” , Resound, x/3, quarterly journal of the Archives of Traditional Music, Indiana University, Bloomington. 1991. p 1-4 [about Laura Boulton’s research in SW Africa]. Click boulton-1 to download a typsescript copy of this article. 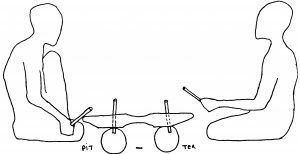 “Report on Pitch perception Experiments carried out in Buganda and Busoga (Uganda)” African Music, vii/2, 1992, p 119-125. Available courtesy of Rhodes University. Click here to read and/or download it. Exploring African Rhythm – Hypercard stack for use with Macintosh computer and MIDI synthesizer, 1992 (available then as shareware). Review of Gansemans J. ”Rujindiri, Maitre de l’Inanga (CD) in Yearbook for Traditional Music, 1992. p189-192. Ssempeke! – Traditional Music from Uganda. stereo cassette KAC 1003, K&C Productions, 29 Shepherds Pool Rd., Sutton Coldfield, B756NB, U.K. (now available on custom CD – apply to me). 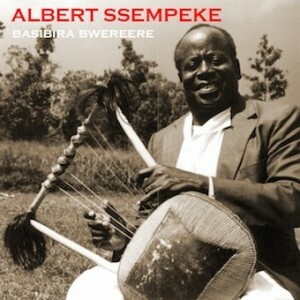 Track listing, texts and translations available here:- Ssempeke! “Call and Response: A Reply to Ulrich Wegner”, Ethnomusicology, 38/3, 1994, 475-480 (on the subject of inherent patterns in Kiganda xylophone music). Click here for the response. 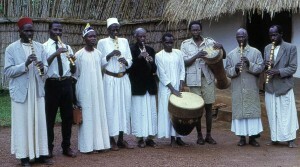 “Orchestral Melo-rhythm in Southern Uganda”, Festschrift for Gerhard Kubik, 1995, pp. 147-160. “The music of East Africa: an Overview”. Chapter for Encyclopedia of World Music. Garland publishing, New York. 1997.
Review of Arom, Simha: African Polyphony and Polyrhythm. Musical Structure and Methodology. in Canadian Journal of African Studies (Montreal, Canada). 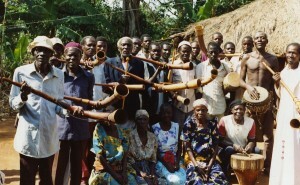 Ebigwala trumpets of the Basoga. Ouganda: Ensembles villageois du Busoga/ Uganda: Village Ensembles of Busoga. Recorded and compiled by Peter Cooke. VDE Gallo AIMP CD 926 (1997). “Fieldwork in Lango, Northern Uganda, Feb-March 1997”, in African Music, vii/4, (1999), 66-72. Click here for this article (courtesy of Rhodes University)..
“The Musical Scene in Uganda – views from without and within”. 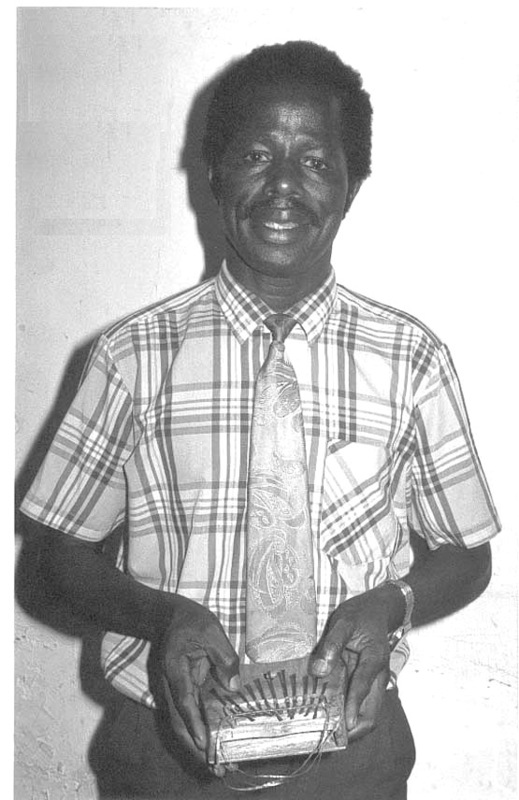 Joint article with Dr. Sam Kasule, in African Music, vii/4, (1999), 6-21. Click here for the article (courtesy of Rhodes University). “Was Ssempeke Just Being Kind? Listening to Instrumental Music in Africa south of the Sahara.”, in The World of Music, 41(1), (1999), 73-83. 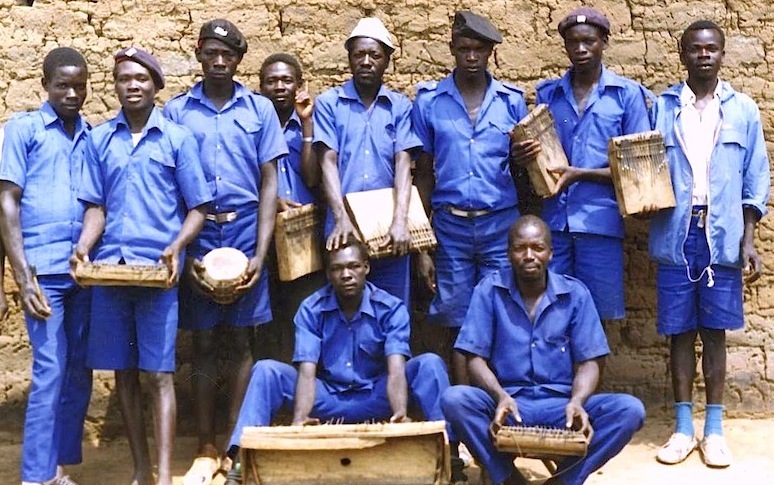 “Musical competitions in Northern Uganda”, in Mashindano! Competitive Music Performance in East Africa., ed. F. Gunderson and Greg. Barz, (Dar es Salaam, 2000) pp. 271-8. Bar Twang okeme group, Lango. “Appeasing the Spirits: Music, Possession, Divination and Healing in Busoga, Eastern Uganda”, in Indigenous Religious Musics, ed. K. Ralls-MacLeod and Graham Harvey (Aldershot, 2000) p. 102-121. 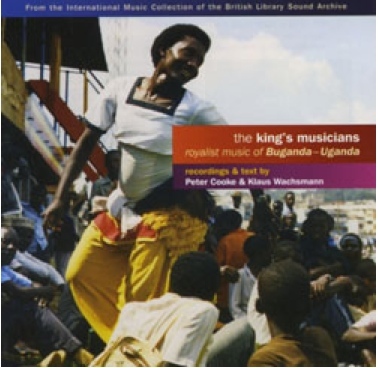 The King’s Musicians – Royalist Music of Buganda – Uganda. CD with booklet – Topic TSCD925 (produced in association with the British Library National Sound Archive International Music Collection), 2003. Something Is Wrong: Vintage Recordings From East Africa. I researched and provided documentation and translations. Honest Jon’s Records, London (2010, on Vynyl and CD). “The Legacy of Klaus Wachsmann” in Ethnomusicology in East Africa – Perspectives from Uganda and Beyond. Eds. 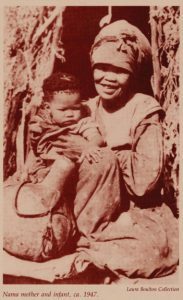 S. Nannyonga-Tamusuza and Tom Solomon. Fountain Publishers Kampala (2012), 3–15. 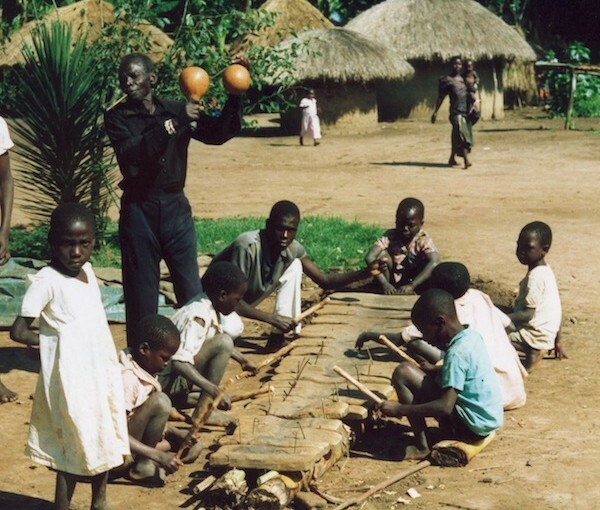 ‘Sound repatriation in Uganda “And…er…of course, I…we didn’t just leave it at that.” And a saga from the pre-digital archiving age.’ In Sound Matters (blog published by the Society for Ethnomusicology). Numerous other reviews of books, articles, CDs etc.